Hi guys! It has been almost a week since I last wrote a post. Have been really busy juggling both work and giving tuition at night. But it's a temporary job before my school commences in August, so I shall just bear with the 2 more weeks! 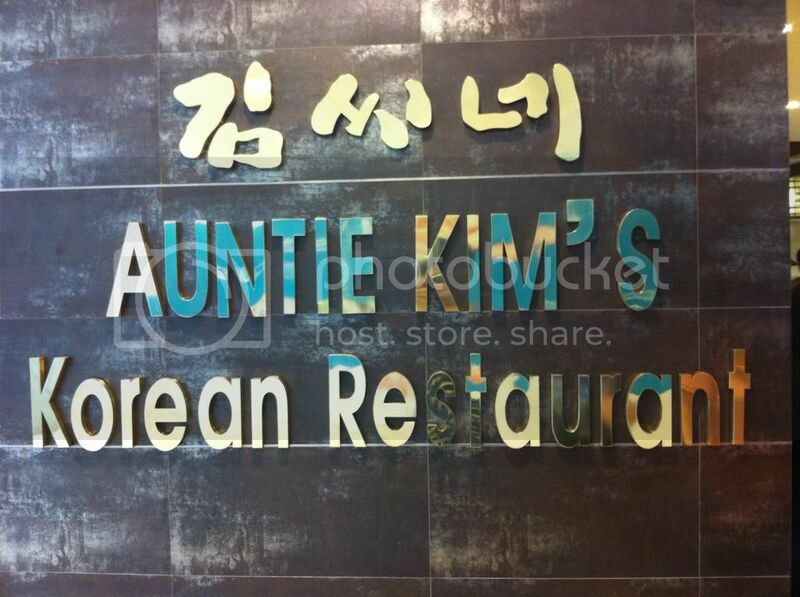 Alright, so just last Friday, my colleagues and I went to Auntie Kim's Korean Restaurant for lunch. I love the food there, especially the kimchi fried rice. We ordered a couple of dishes and they were all really good. The prices are a little steep though, but it's definitely worth it for the quality of food. All the sides were delicious too. We especially love the sweet potato and of course, the kimchi! 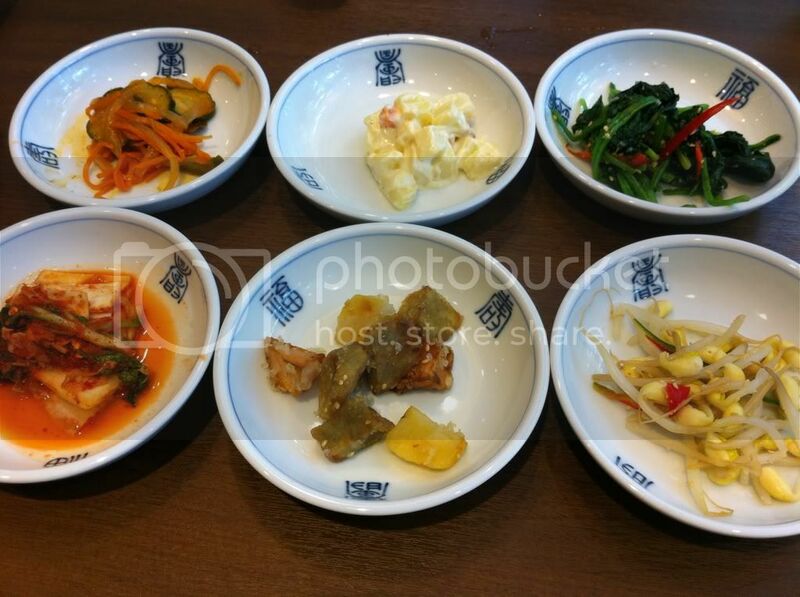 Here are some of the dishes that we ordered! Some chilled drink that they serve. 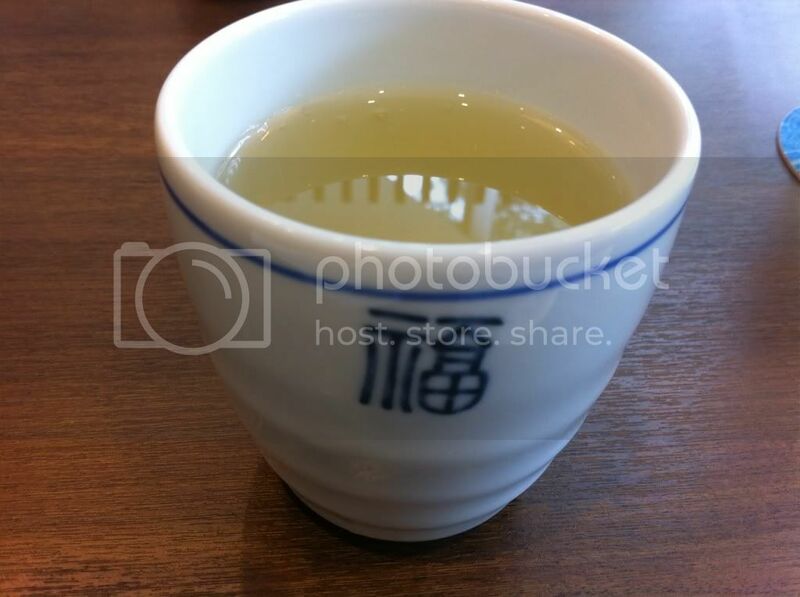 Tasted a little like rice tea to me though, but it's not sweet. This dish was really yummy! The side of the pancake was crispy and the middle of the pancake was fluffy and filled with ingredients. I really loved this dish! 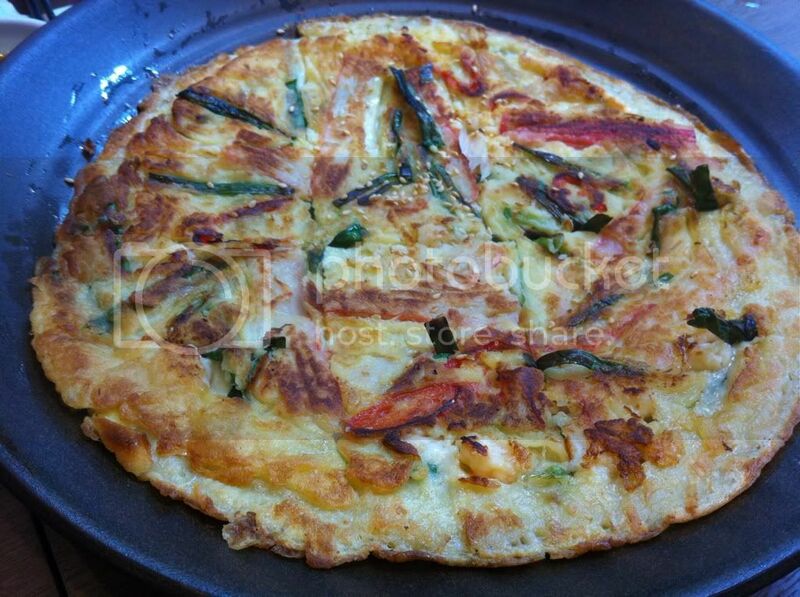 This is definitely a must try for all korean pancake lovers! 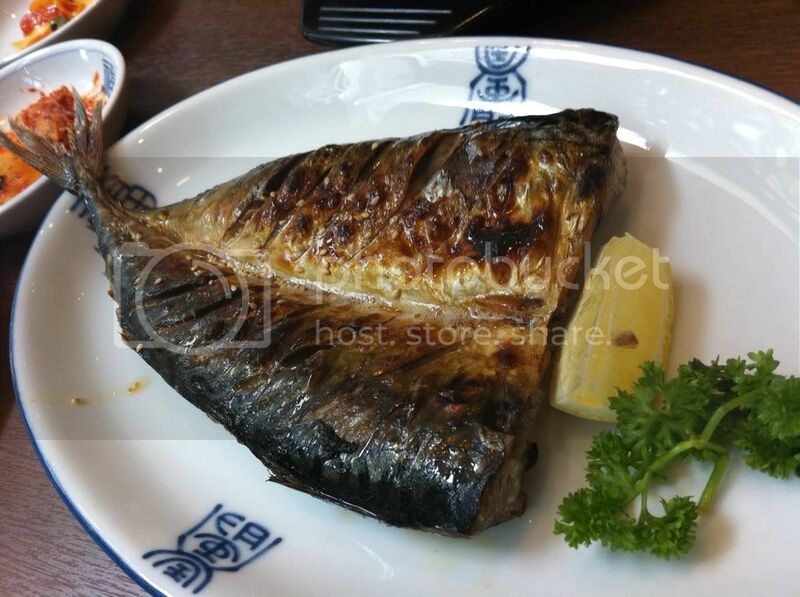 I didn't get to try this, but according to my colleagues, this fish is really fresh and doesn't have that fishy smell. I thought that this dish was a tad too bland. All my other colleagues felt so too, and we had to add some soy sauce to make it saltier. I must say that this is a pretty healthy dish, with less salt and oil. 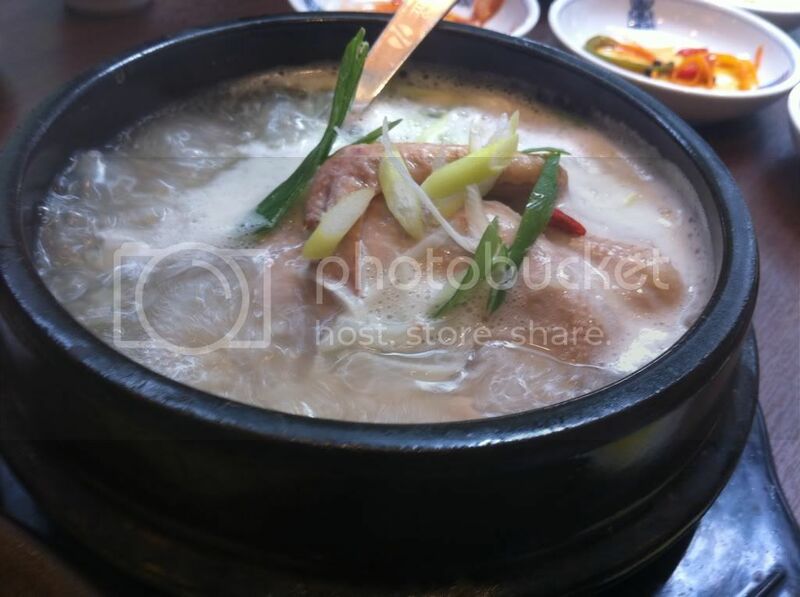 It would be nice to have this ginseng soup on a cold and rainy day. My colleagues and I loved this noodles. 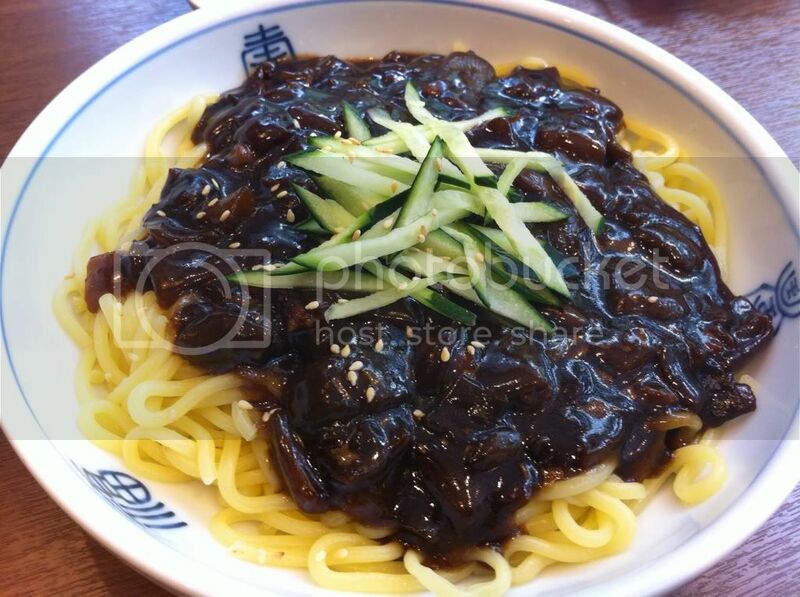 The sauce may look really black, but it is not very salty, and when you mix it with the springy noodles, it is simply perfect! Oh and I must say that the noodles are really very springy and bouncy. Haha. Very very nice dish. Everyone should totally try this. But there's one thing to note, if you really dislike onions, please do not order this dish. It is overloaded with onions! This fried rice must be my favourite out of all. I absolutely adore fried rice, and this is definitely one of the better ones. Just look the the sunny side up, the yolk is so runny and thick. When we mix it up with the rice, everything is just super good. I'm so gonna go back and have this again. Oh and we requested for extra spicy, so they sprinkled chilli padi all over the rice. Honestly speaking, the chilli padi was really a bit too much. 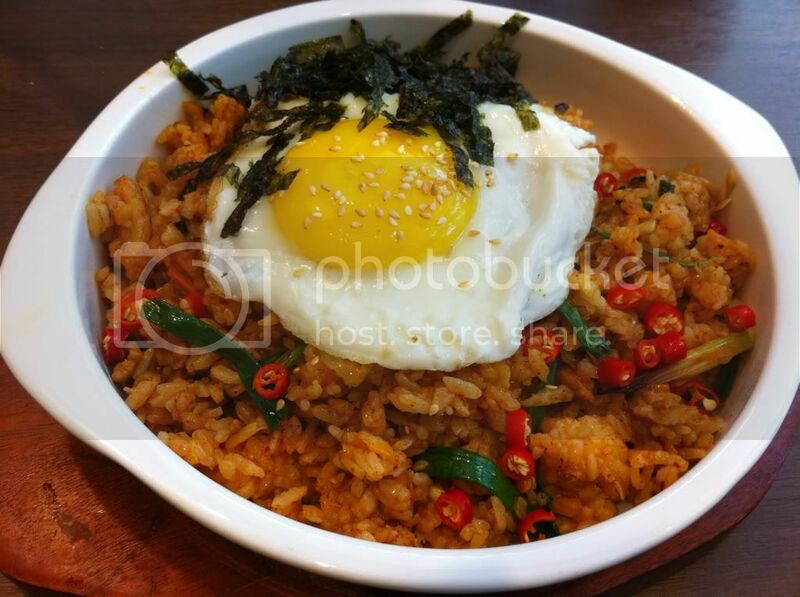 So unless you are really someone who can't live without spicy stuff, please just order the normal kimchi fried rice. All in all, I really have to say that this is official one of my favourite Korean Restaurants from now on. I will definitely be back for more of these awesome stuff. Most of their staff in this restaurant is from Korea I guess, and they will greet you with smiles and of course in Korean language. Haha, makes me feel like I'm really in Korea. 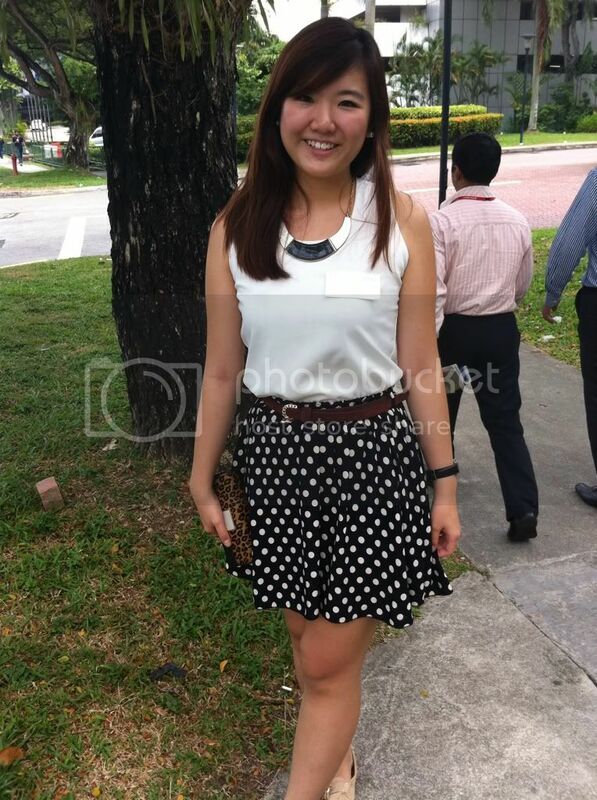 Alright, just before I end, I have my outfit of the day photo to share. Heheheh, haven't been taking that many OOTD pictures during work, so this is one of the rare times that I have time to take my outfit of the day! 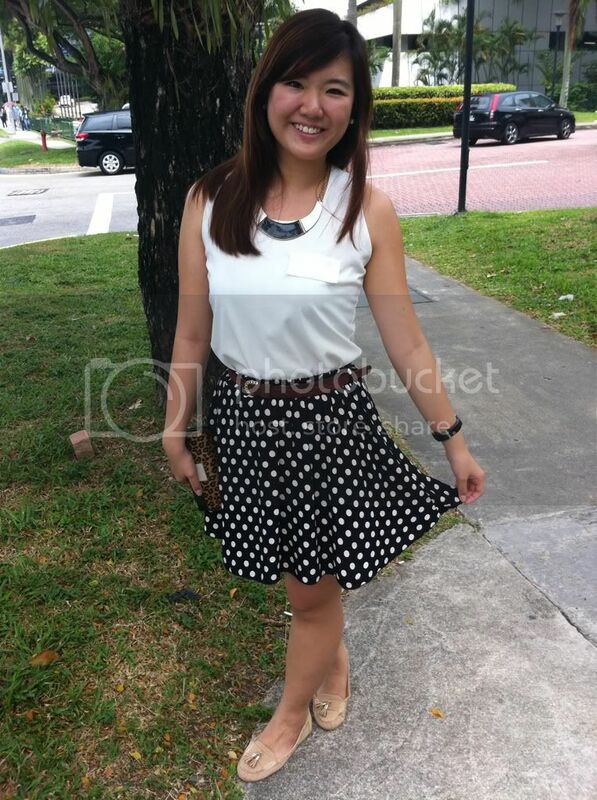 Loving my polka dots skirt, and I think I look really happy in these photos. Hahaha. Okay, this is really the end of this post, but I'll be back with more about my JB Trip with The Babes today. So stay tuned! P.S. The outlet that we went to is the one at ARC!